I found the following story on the web and wanted to share it with my followers. This comes days after I discovered that the four star Britannia Hotel in Standish, Wigan, was making tens of thousands of quid housing grubby asylum seekers. A report I read suggests that the hotel is charging the local council as much as £100 a night to house them. In total the government has paid £750.000 since July 15 to keep our guests in 4 star accommodation!! All while our returning servicemen, elderly, and vulnerable go hungry and poor! Shame on them! For people that want to buy Jack Sen’s new book ‘ How to get suspended from UKIP in 10 articles and 2 Tweets – the only honest book about Britain and our migrant crisis please click here. It may say it’s temporarily out of stock once you paid but it’s not. It just takes about 3 days due to high sales volumes and the system is lagging. http://www.amazon.com/gp/product/1782224254 It’s a really incredible read. 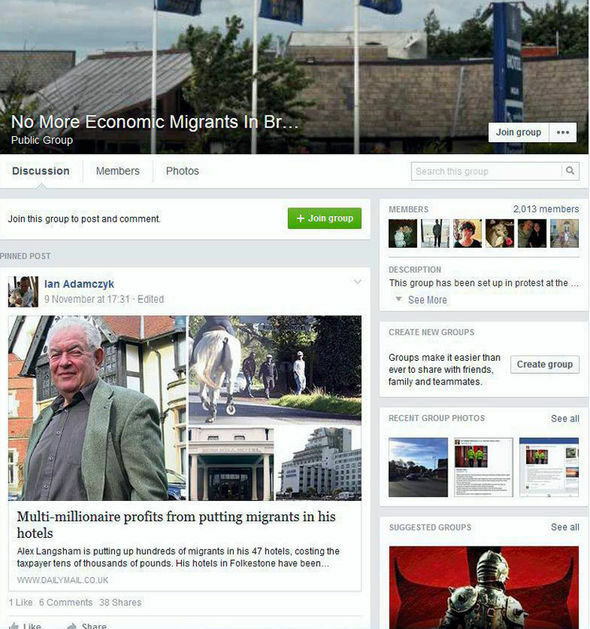 The migrants, who hail from war-ravaged Syria, Iraq and Somalia, have stopped at the hotel since July – while they wait for Government officials to process their applications.But tired locals have set up a campaign on Facebook calling to kick the group out of the Britannia hotel in Standish, Wigan, claiming petty crime has spiked in the area as a result.The group – headed ‘No More Economic Migrants in Britannia Hotel’ – has attracted more than 2,000 followers and accompanies an online petition demanding the Home Office move them. 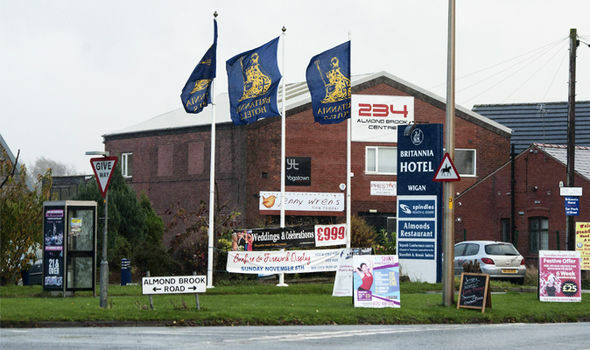 The 35-year-old, who runs an airport transfer company, suggested the migrants holed up inside the hotel have not come to the UK in search of a better life. European leaders are meeting with their African counterparts at a summit in Malta today to discuss solutions to the worsening refugee crisis. On the table is a controversial proposal to increase funding and other forms of aid to African nations that help stop the flow of hundreds of thousands of people across the Mediterranean. “The aim is to tackle the economic and security problems that cause people to flee,” reports the BBC. It is also hoped the deal will help persuade countries to take back failed asylum seekers. European Council President Donald Tusk said efforts would focus on poverty reduction and conflict prevention. “It also includes the issue of taking back those who do not yet qualify for a visa, or those who do not require international protection,” he said on the eve of the summit. The European Commission is in the process of setting up a €1.8bn “trust fund” for Africa and is encouraging its 28-member states to match that amount – though this seems unlikely. Observers have raised a number of concerns about the proposals. There are fears human rights could suffer if African nations seeking aid benefits prevent refugees from fleeing. Cecile Kyenge, a Congo-born Italian member of the European parliament said the offer was “bordering on blackmail,” according to South Africa’s News24. There are also concerns that plans to sharply reduce the number of people arriving in Europe would cut off a vital source of remittance income from their economies, Channel 4 News reports. The United Nation estimates that nearly 800,000 refugees have arrived in Europe so far this year, while more than 3,000 have died or gone missing making the dangerous journey. The vast majority of them are fleeing war in countries like Syria and Iraq, but many are also escaping conflict in Eritrea, South Sudan and Somalia. Today’s summit comes as yet more deaths are reported in the Mediterranean. At least 14 people, including seven children, drowned after their boat sank between Turkey and the Greek island of Lesbos.